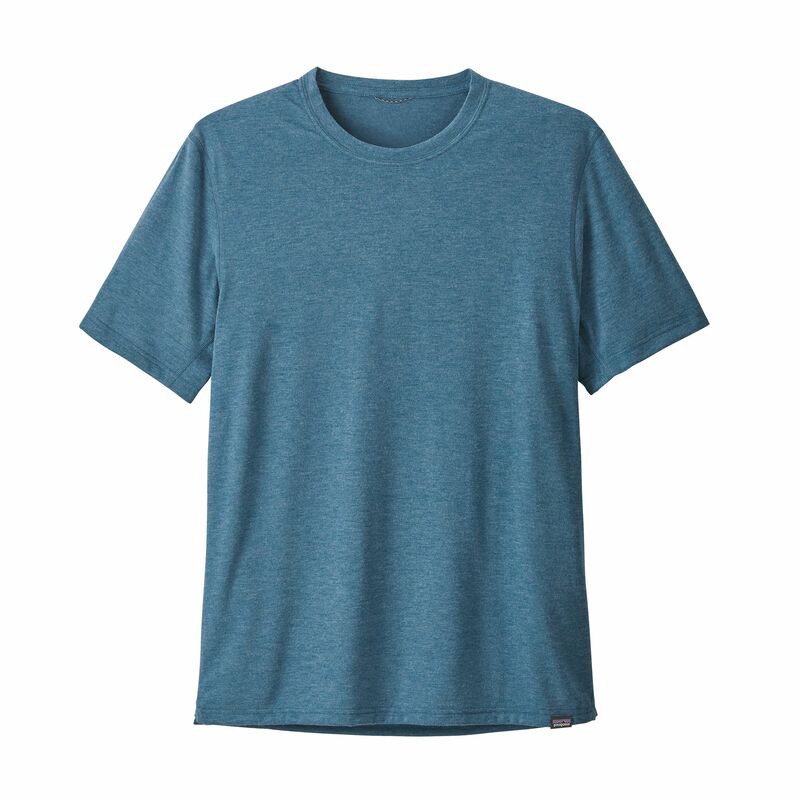 The Patagonia Capilene Cool Trail Shirt is made from Patagonia's softest performance fabric giving all day comfort in a baselayer that keeps you cool and wicks moisture away when you’re at your most active. Drying the Cool Trail shirt it keeps your skin feeling fresh when running, biking or travelling. The fabric feels like cotton but performs like light weight polyester. Made of 4-oz 100% polyester spun jersey and most importantly in an active base layer it has Polygiene® permanent odour control so you stay welcome in confined spaces with friends and strangers at the end of a busy day. The design allows for complete mobility with underarm gussets, an internal loop for easy hanging, a tagless design and flat chafe-free seams that won’t itch your skin and glides smoothly in all movement.